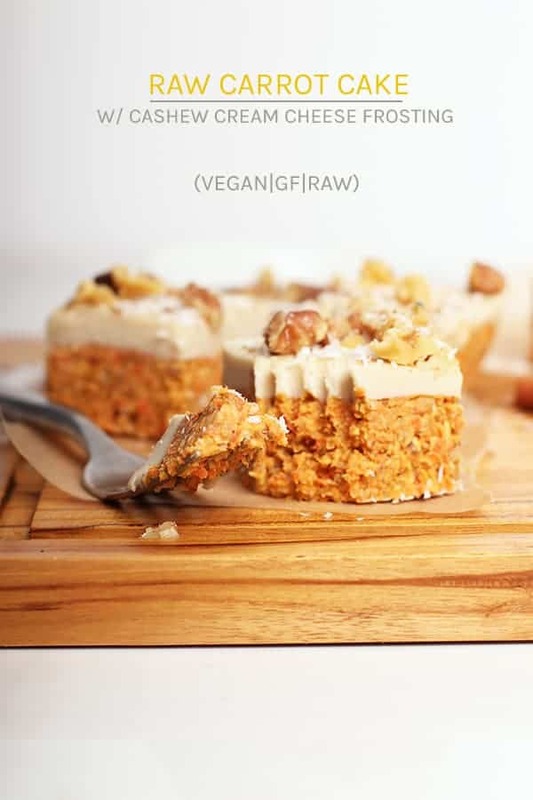 These raw carrot cake bites with cashew cream cheese frosting are vegan, gluten-free, and refined sugar-free for a wholesome and delicious dessert everyone can enjoy. A fan-favorite, I think you’re going to love them. Today we are going to explore the world of RAW desserts. Back when I started this blog, I became a bit of a raw desserts connoisseur. Raw desserts can be a bit intimating for beginners. I know this first hand; I used to be terrified of them. However, as anyone will tell you, they are surprisingly simple to make. In 2012 I started experimenting with raw desserts and I was amazed at how a few simple ingredients could create endless flavor combinations with the most decadent and delicious tastes and textures. Better yet, there is quite a lot of room for trial and error since you can test and taste as you go. This is obviously different than most baking allowing even beginners to make incredible raw desserts. 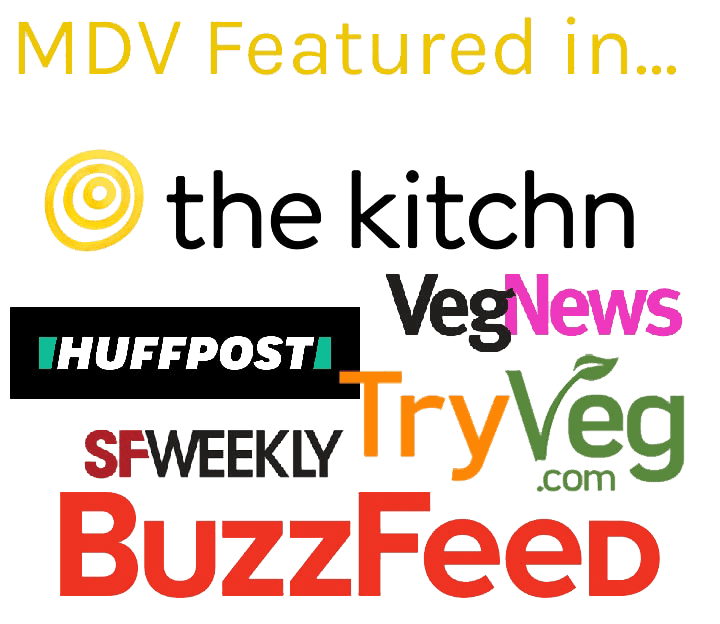 You can find all my raw dessert recipes here. But my most popular raw dessert recipe to date (and the 2nd most popular recipe on this blog next to my vegan blueberry muffins) are these Raw Carrot Cake Bites. Made with a base of walnuts, carrots, and dates, these cake bites are packed with flavor and nutrients for a dessert we can feel GREAT about biting into. Like I said earlier, raw desserts can be quite simple to make. 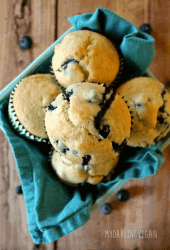 There is a lot more room for trial and error and there is a seemingly endless combination of flavors and textures with just a handful of basic ingredients. 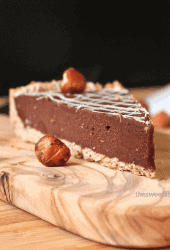 Nuts – the base of most raw desserts. Seeds, cacao, coconut, and other mix-ins. And this raw carrot cake recipe has all of them. Dates for the sweetener. For this recipe I recommend Medjool dates over regular dates; they are juicier and sweeter than normal dates giving this cake both a deliciously moist texture while sweetening naturally. Walnuts for the base of this cake. This recipe also uses cashews in the cashew cream cheese frosting. Shredded coconut, spices, vanilla, and salt because the magic is in the details. 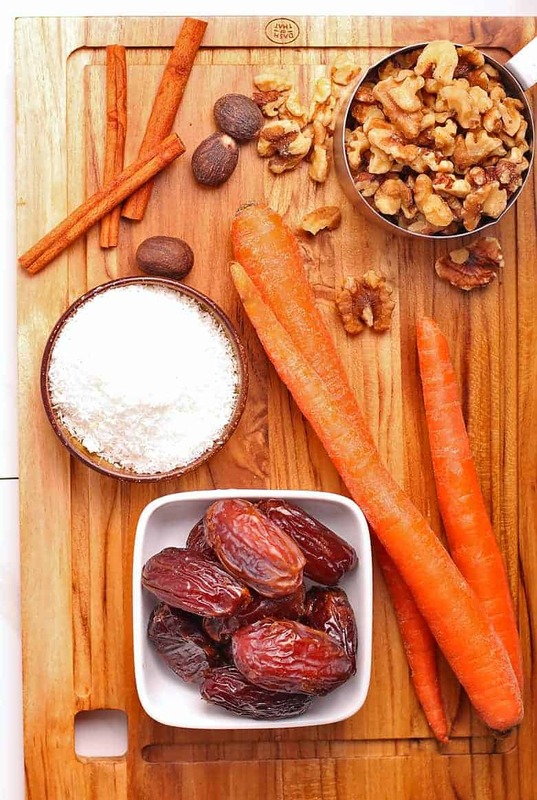 Now, onto making these raw carrot cake bites. By hand or in your food processor, shred the carrots. 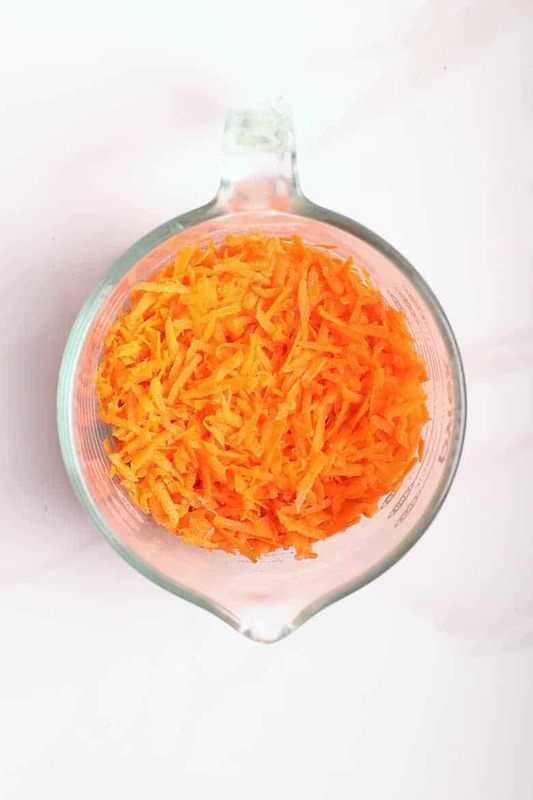 You want 2 1/2 cups of shredded carrots for this recipe which is about 3 large carrots. 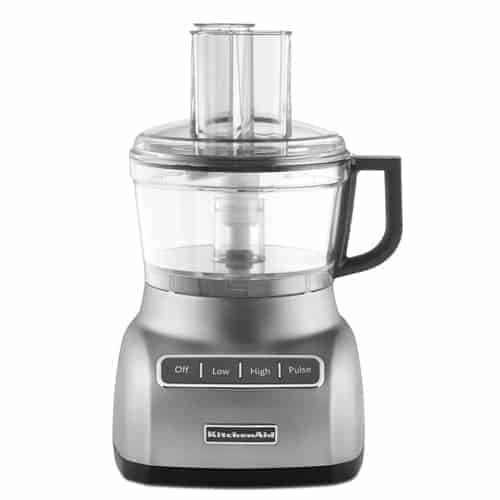 If you are looking for a food processor, this is the one I recommend. Having a high-quality food processor is SUPER important when making raw desserts (and plant-based eating in general). This one is one of the finest. It has a powerful motor and comes with several different attachments making it one of the most versatile kitchen appliances. 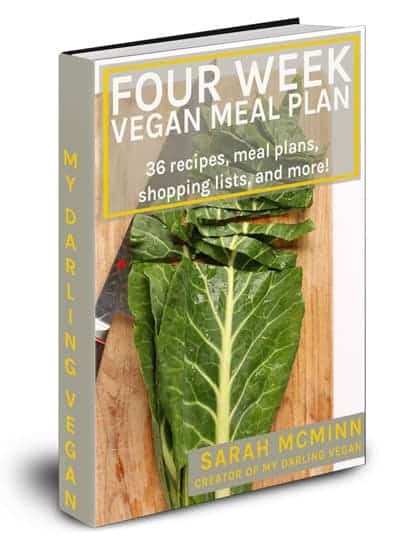 You can check it out here on Amazon. It’s a bit pricier than other food processors, but it will last a lifetime! Step two – Make the carrot cake base. 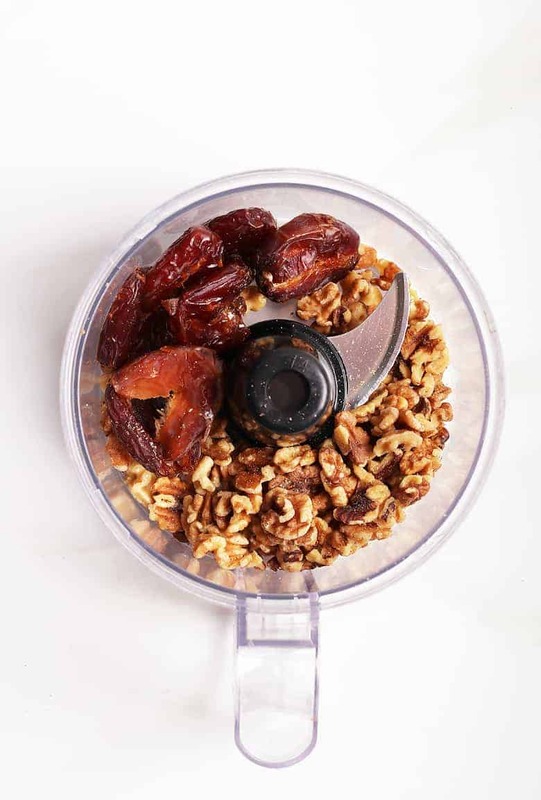 To make the carrot cake, start by blending together the dates and walnuts in your food processor. Blend them until the walnuts and dates have broken down into a uniform crumb; it should sticks together when pressed between your fingers. Once we have our base, we add the carrots, coconut, spices, and salt. Process again until all the ingredients are well incorporated into a uniform cake. At this point the cake base will be quite soft; it sets up in the freezer. Transfer the cake to a prepared cake pan and freeze. It’s best if you have a high powered blender like a Vita-mix. You want your cashews to blend into a silky smooth cream and high powered blenders are the only blenders that can do that 100%. If you don’t have a high powered blender, soak the cashews in water for at least 6 hours or overnight so that the cashews are soft before blending them in a blender or food processor. To make the cream cheese frosting, throw everything into the blender, liquids first, except the coconut oil. Blend until silky smooth and then, with the motor running, slowly add the coconut oil until it is completely incorporated. The cream cheese frosting will be quite pourable at this point. Pour it onto your chilled cake. Using an offset spatula, spread it evenly over the top then wrap the cake plastic wrap and freeze for at least 2 hours to let the cake set up. Keep the cake in the freezer for at least 2 hours before serving. When you are ready to serve, pull the carrot cake out and let it thaw 10-20 minutes (depending on how frozen it is) before slicing. Slice with a sharp hot knife, cleaning it off between each use for clean cuts. The cake should be served immediately. It will soften if left out too long at room temperature. 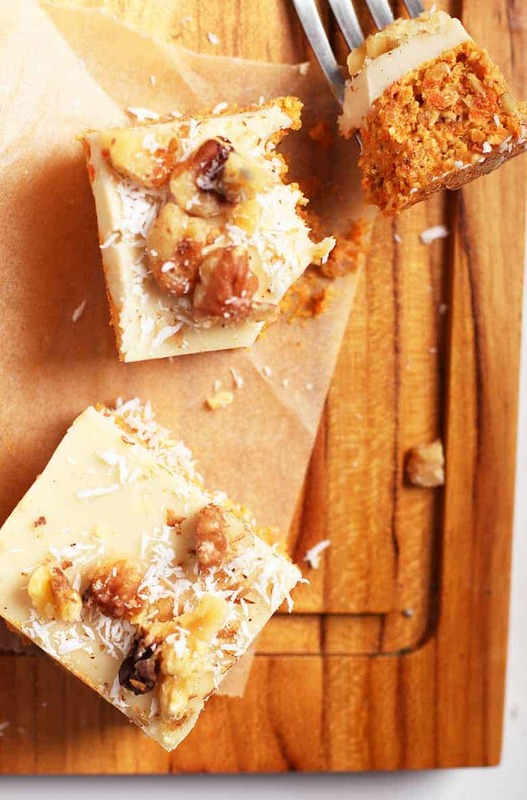 To serve, top with extra walnuts, cinnamon, and coconut. The uneaten cake should be stored in the freezer. Tightly wrap it in plastic wrap and store it for up to 2 months. 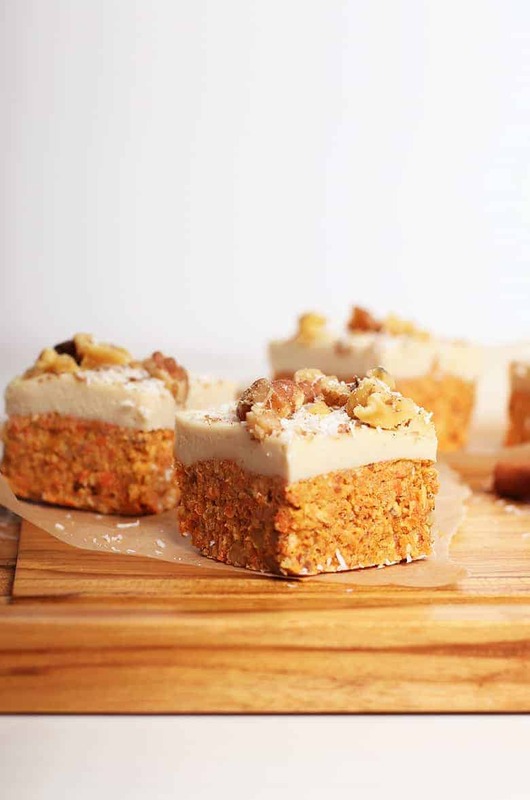 Friends, I think you’re going to LOVE this raw carrot cake. It is packed with the best flavors and spices and topped with a rich and creamy cream cheese frosting. So good! I think it’s time to do some raw “baking”! Let’s take a look at the recipe card below. These raw no-bake Carrot Cake Bites with Cashew Cream Cheese Frosting are vegan, gluten-free, and refined sugar-free for a wholesome and delicious dessert everyone can enjoy. 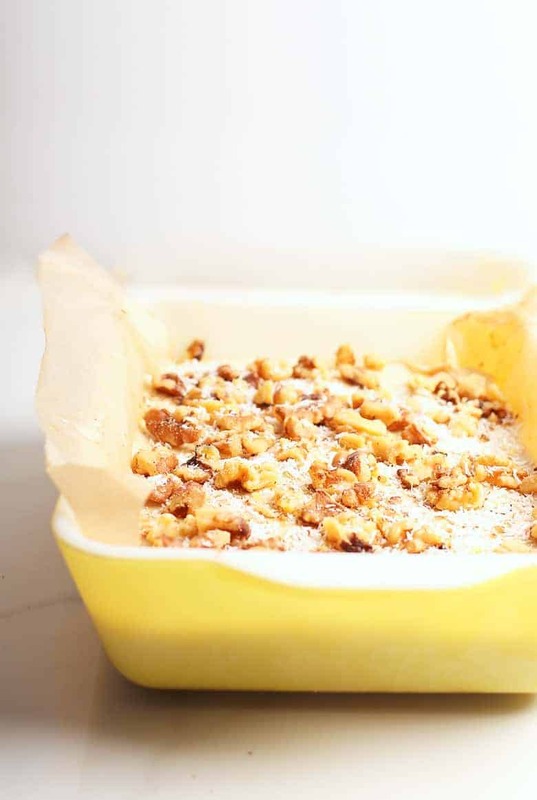 Line an 8×8 square baking dish (or equally sized pan) with parchment paper letting the edges hang over the sides of the pan. By hand or with a food processor using the grating attachment, shred the carrots. Place them in a large bowl and set aside. Clean out the food processor and switch to the blade attachment. Blend together the walnuts and dates into a uniform crumb; it should sticks together when pressed between your fingers. Add carrots, coconut, spices, and salt and blend again, scraping down the sides as needed, until the carrots are fully incorporated. Press the cake into the prepared pan, smooth over the top, and place in the freezer while making the cream cheese frosting. 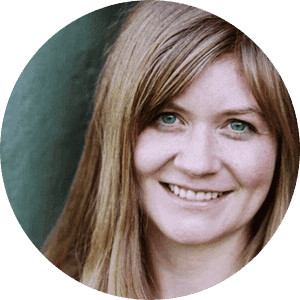 To make the cream cheese frosting, combine cashews, water, agave nectar or maple syrup, vanilla, salt, and lemon juice in a high-powered blender. Blend until silky smooth. Add coconut oil and blend to combine. Pour onto the chilled cake and smooth the top. Cover in plastic wrap and freeze for at least 2 hours. When ready to serve, remove the cake from freezer. To release it from pan, pull up the sides of the parchment paper. Top with walnuts and dust with cinnamon. Let it thaw 10 minutes at room temperature. With a hot, sharp knife cut cake into 2 x 2-inch pieces. If the cake is very frozen, let it thaw an additional 15 minutes before serving. If you don't have a high-powered blender, soak the cashews for at least 6 hours before preparing the cake. When soft, drain and rinse the cashews and blend them in your blender or food processor until completely smooth. Depending on the strength of your blender this make take up to 10 minutes. Maple syrup is not considered a raw ingredient although many raw foodists will still eat it. If you are strictly raw, substitute agave nectar for the maple syrup. I don’t like coconut is there something I could substitute or should I leave it out? My son is anaphylactic to cashews, is there another type of nut I could substitute to make the icing? Are dates the ONLY fruit that is ever used in recipes? I don’t like them and feel I miss out on so many good recipes because of that. Is there anything else one could use as a substitute?